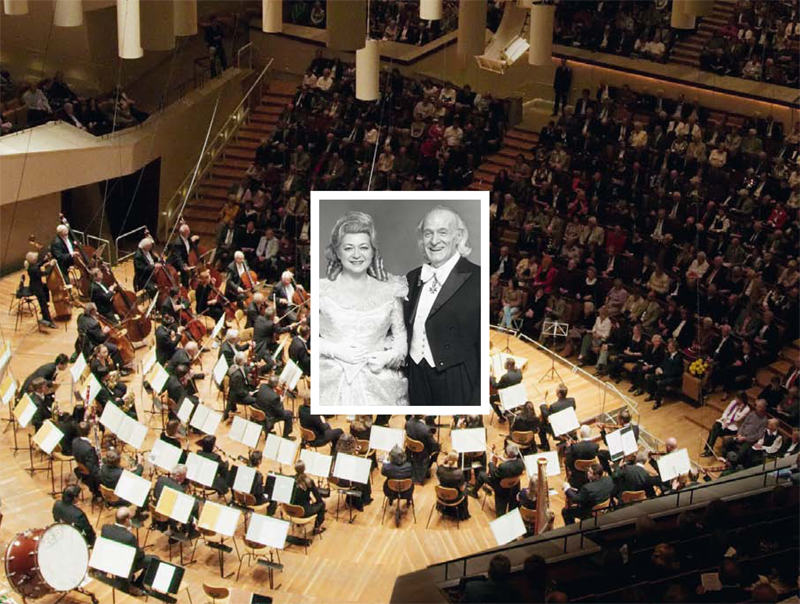 This has always been the key motivation behind the series of POPULAR CONCERTS founded by Prof. Victor Hohenfels and his wife Eva-Maria 60 years ago. From the very beginning, these concerts have always attracted such large audiences that it has been possible to stage them without any subsidies or grants whatsoever over the past 60 years. 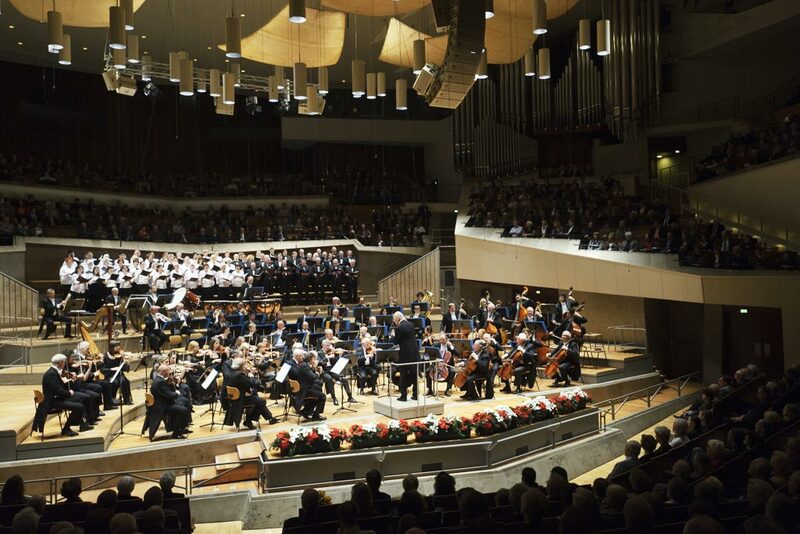 Today these popular concerts presented in the Berlin Philharmonic Hall contribute in no small part to making the German capital the major centre for the performing arts that it is.  Over 3,5 million concertgoers from Berlin and the whole world have attended these concerts over the past six decades. 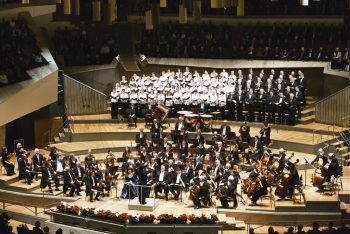 The name of the series is simple and self-explanatory – in a subscription series of seven concerts a bill of fare of the most famous and popular works from the world of classical music is presented to the audience, grouped around themes such as „Symphonies of the World“, „Composer Portraits“ or „Classic and Romantic Masterpieces“. The traditional concerts held over the Christmas season and Easter include such well loved evergreens as Schubert’s Unfinished Symphony, Beethoven’s Eroica, and Ravel’s Boléro, while New Year’s Day is reserved for Beethoven’s Ninth with its Ode to Joy final movement. 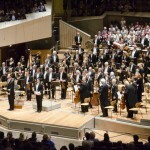 Berlin Symphony Orchestra with its Principal Conductor Stanley Dodds and all its other famous conductors and solists have performed since the very beginning in the marvelous auditorium of the Berlin Philharmonic Hall, one of the world’s most beautiful concert halls with its unrivalled superb acoustic. So why not come along yourself and experience the sheer magic our Popular Concerts have to offer. Once again, we would like to thank you, dear public, for your loyalty and for attending our concerts in such large numbers. In fact up to today over 3.5 million guests from Berlin, as well as from every corner of the world, have been our guests at CLASSICS FOR EVERYONE. Our successful collaboration with members of the Berliner Philarmoniker will continue once more throughout the new season. It is always a great honour and pleasure for us to present several of these outstanding artists, soloists and conductors. Following the huge success of our “Beethoven cycle” throughout the last anniversary season, we decided to offer all four Brahms symphonies and other few orchestral works from the great composer: a 7-concert cycle which will surely become an artistic milestone of the new season. 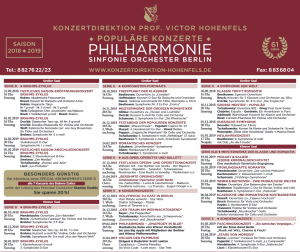 All these concerts will be conducted by SINFONIE ORCHESTER BERLIN’s Principal Conductor Stanley Dodds and will host top-class soloists. 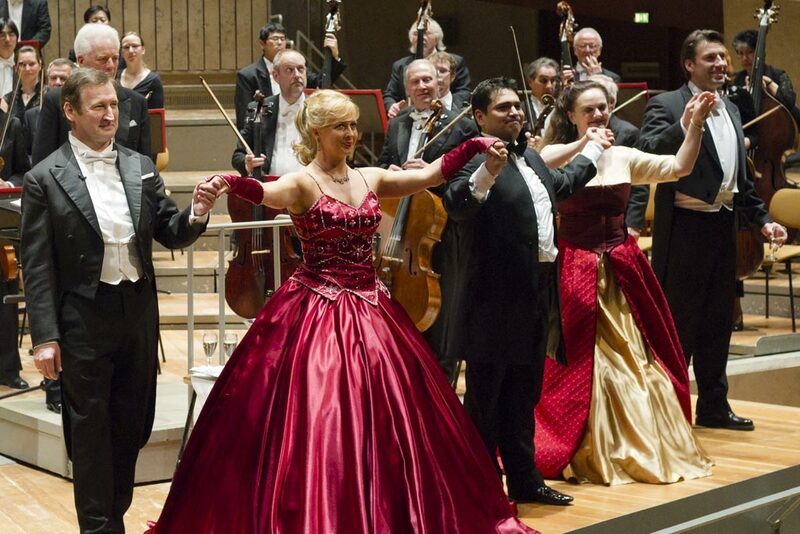 The new concert season starts with a brilliant Opening Concert on September 23 with a firework of famous masterpieces. As soloists you will have the possibility to admire Noah Bendix-Balgley and Wenzel Fuchs, concertmaster and first solo clarinet of the Berliner Philharmoniker, respectively. On September 30 at 4 pm will follow Classic & Romantic masterpieces under the baton of Andreas Wittmann with the outstanding Silver-Garburg Piano Duo. Meeting the classics is the title of the concert on October 28 (4pm), that will include, among other works, Beethoven’s Eroica. The beloved Great popular masterpieces concert on November 10 will present to the public Tschaikowsky’s Overture 1812, Addinsell’s Warschauer Concert and An American in Paris by Gershwin. BERLIN SYMPHONY ORCHESTRA will be conducted by Christian Köhler. Romantic masterpieces on November 24 will offer to our beloved public Dvořák’s cello concert and Schumann’s Symphony No. 3 (Rhenish) in the interpretation of Stephan and Thomas Koncz. One week later, on December 1, Mussorgsky ‘s Pictures of an exhibition and the world’s best known piano concerto of all times, Tschaikowsky’s First Piano Concerto. Our traditional Christimas Concerts start on December 25 at 4 pm with the beloved Opera and Operetta concert, followed by Hollywood is your guest in Berlin at 8 pm, with conductor and presenter Scott Lawton. On December 26 (4 pm) will return the family concert Christmas night dream and later at 8 pm Night of popular classics, with Händel’s Water music, Beethoven’s Fifth and Ravel’s Boléro. 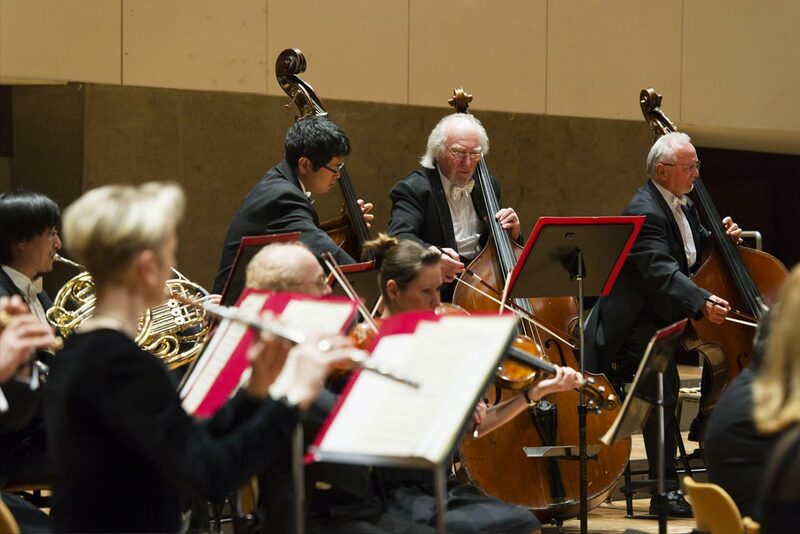 As soloists the members of the Berliner Philharmoniker orchestra Stephan Koncz, cello, und Christoph Koncz, violin, for a concert conducted by Thomas Koncz, well known to our public. 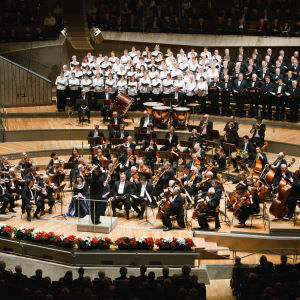 As always, the new year will start with the traditions New Year Concert and Beethoven’s Ninth Symphony with its “Ode to joy”, conducted by Stanley Dodds, Principal Conductor. Mozart & Salieri, a criminal story? Here well known actor Thomas Wittmann will reveal to you the secrets of the Mozart-Salieri relationship. Among others, you will listen to Mozart’s Harp Symphony and Serenade for Orchestra No. 9 as well as Salieri’s Concerto for flute and oboe in the interpretation of Yasuko Fuchs and Monica Carrasco-Wittmann. 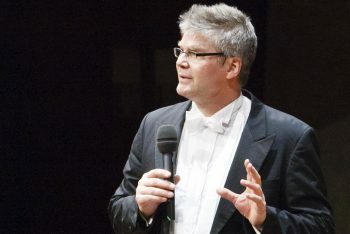 The musical conduction is from Andreas Wittmann, member of the Berliner Philharmoniker. For the Brahms Cycle concert on February 3 we will be enchanted by the violin virtuoso Guy Braunstein and on February 9 you will be able to enjoy the world known Philharmonix ensemble, comprising members of the Berliner and Wiener Philharmoniker. Special arrangements of famous pieces will be heard during „Rhapsody in blue – from Vienna cafés to the Big Apple: a musical journey”. Next appointment of the Brahms Cycle is on February 16, with the famous Concerto for violin in D major in the interpretation of Daniel Dodds on his Stradivari violin. In addition, the Symphony No. 1 by the great German composer. The Romantic concert on Febraury 24 will take you to the world of Romanticism with Schubert’s Unfinished Symphony and Tschaikowsky’s Symphony No. 5. The concert will be conducted by the great horn soloist and conductor Radek Baborák. Carnival’s concert “Silly pleasure” awaits you on March 1 with Brass Band Berlin and their Music with humour, charme and frack! and on March 16 Schumann’s Spring Symphony and the well known Piano concerto No. 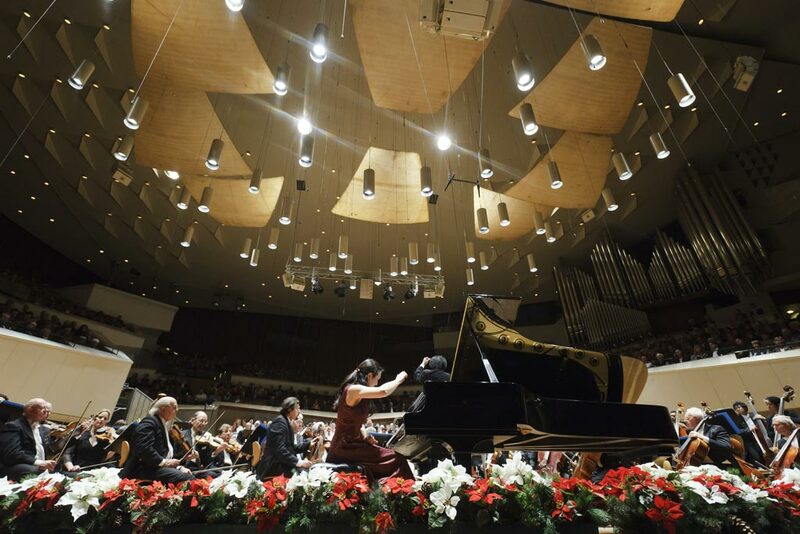 2 by Rachmaninow will open the new year’s season. „Weber and Beethoven-two musical worlds” is the title of the concert on March 23, including Beethoven’s Pastorale, and on April 6 you will taste our classic and romantic specialties with Tschaikowsky’s Rokoko variations and Nutcracker suite. 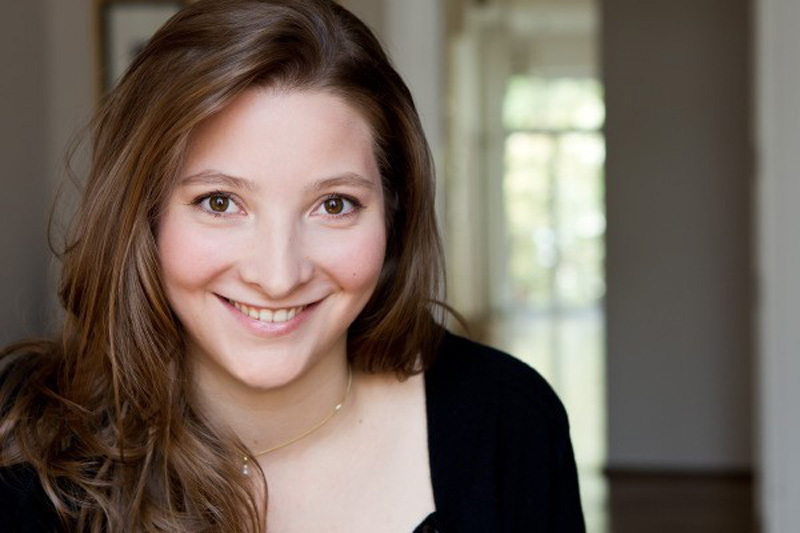 On April 13 is time for the already traditional “Stars of tomorrow” with young talented instrumentalists, under the baton of Christoph Koncz, member of the Wiener Philharmoniker. On April 21 (Easter Sunday) we will host a special highlight of the season: the “Famous opera choirs” (at 4 pm) with Amsterdam Opera Choir and, in the evening, the Oscars of film music, presented by American conductor Scott Lawton. Our concert season will close on May 5 with the traditional Festive closing concert and a firework of masterpieces by the biggest composers of all time. 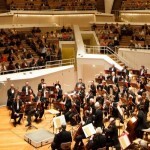 BERLIN SYMPHONY ORCHESTRA will be conducted by Stanley Dodds, Principal Conductor. 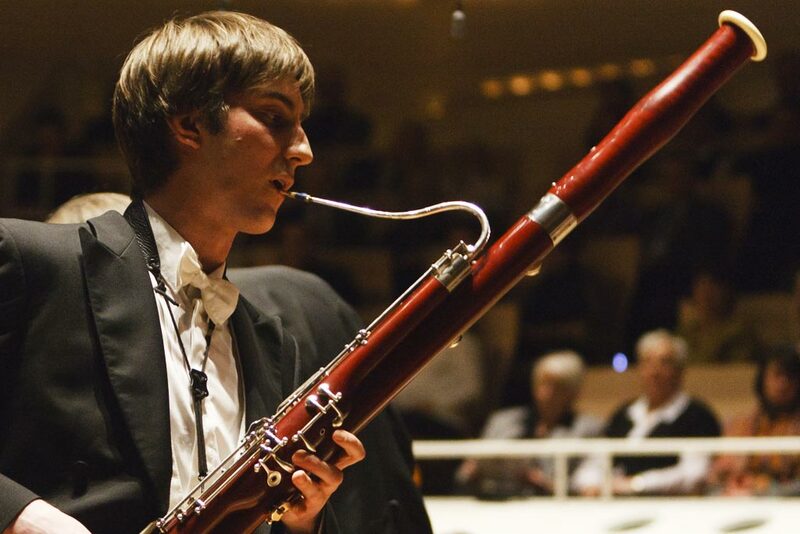 We wish you an unforgettable experience through the new season of POULAR CLASSICS in Berlin’s Philharmonic Hall. 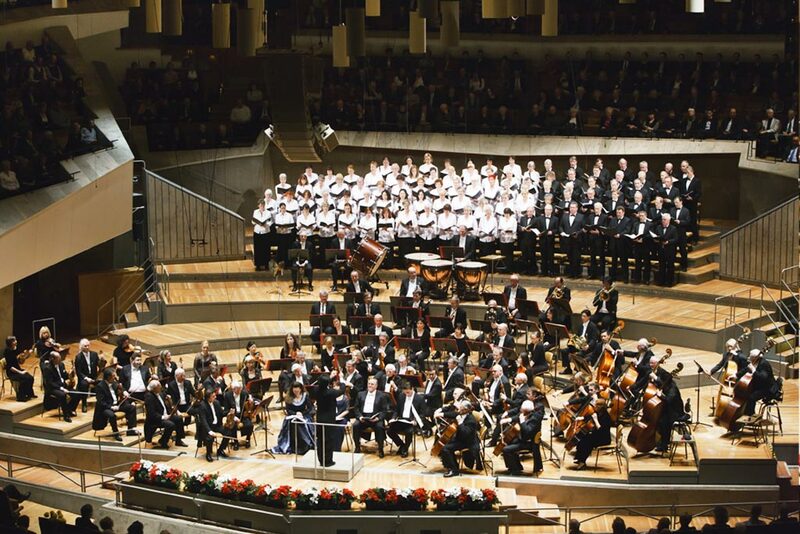 Berlin Symphony Orchestra presents its Popular Classics concerts since more than 6o years. The intent remains the same since founder and manager Prof. Victor Hohenfels started to offer to large audiences masterpieces composed by the greatest composers of all time. 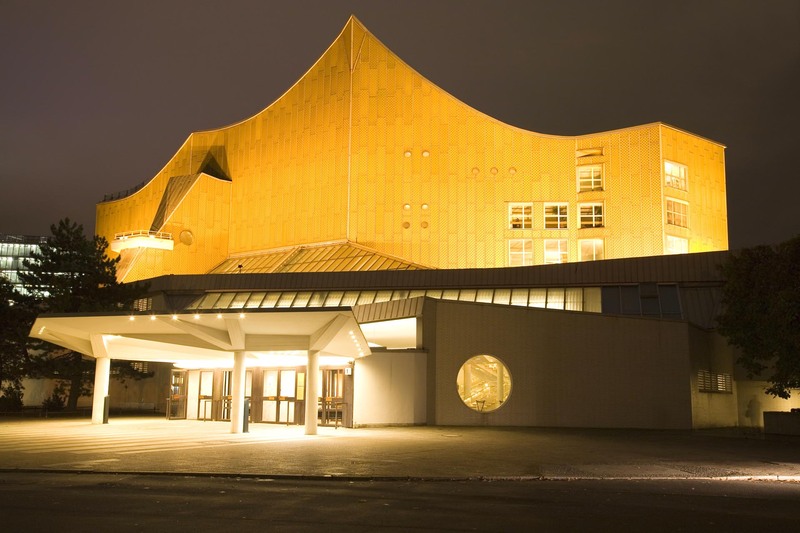 The orchestra’s home is the Berliner Philharmonie and is well established in the national musical scene, thanks to its incredible artistical work and amount of concerts per season. 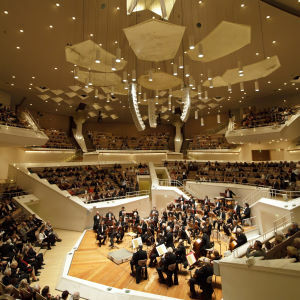 Berlin Symphony Orchestra’s concert season comprises 25 to 30 concerts, both in the main and in the chamber music hall. Grouped in thematic series, such as “Greatest symphonies of all time”, “Opera, operetta and ballet” or “Masterpieces from the classic and romantic eras”, the best-known works in musical history are presented to the public. The events called “Most famous film music” offers masterpieces composed by the greatest film music composers. 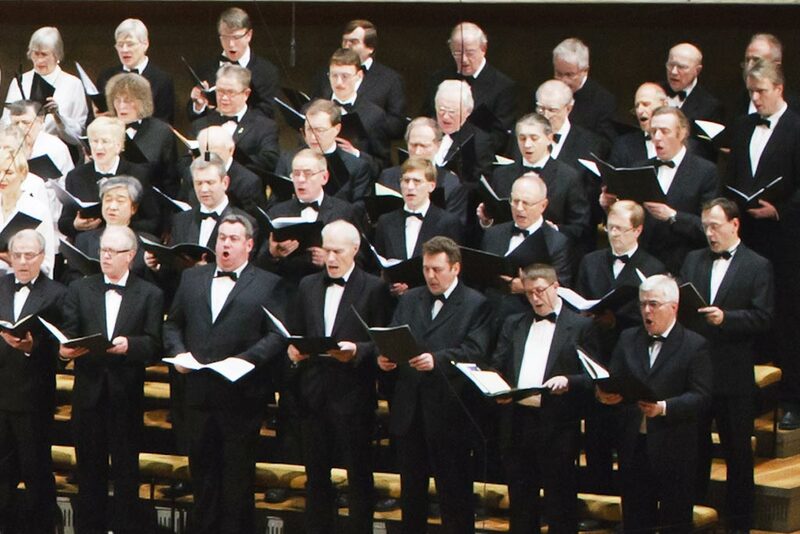 During the 2014-2015 concert season Stanley Dodds became Principal Conductor of the orchestra. He plays since 1994 the violin as one of members of the Berliner Philharmoniker and studied at the Karajan Academy. The German-Australian musician had studied violin and conduction before in Linz and Lucerne. He has won several competitions and had a remarkable career both as soloist and as conductor. In this role he assisted Sir Simon Rattle several times. 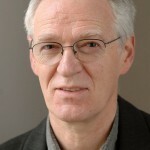 Stanley Dodds‘ experience is beneficial to the artistic presence of the orchestra: his target is in fact to lead each musician to the maximum of their expressive possibilities, making them fully show his qualities. He is capable of transforming each concert into a real event: he knows how to create a connection between the public and the orchestra, as his interpretation of works such as Beethoven’s Eroica or Ravel’s Boléro clearly show. Our programs are very demanding: masterpieces from the best classic, romantic and barock composers, such as Tschaikowski, Beethoven, Brahms und Dvorak impose top-level conductors, soloists and orchestras. 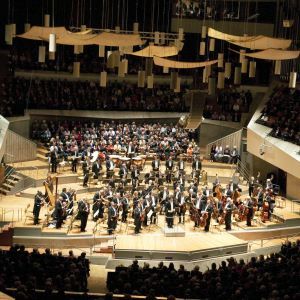 Berlin Symphony Orchestra is an excellent orchestra, capable of presenting these works with the highest standards, a target only achievable through an amount of incredibly well prepared members. Among them, many have previous experience in Berlin’s best musical ensembles. 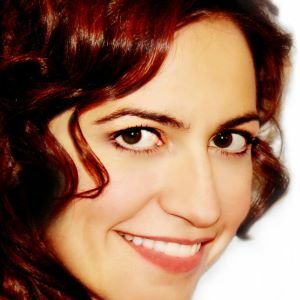 Others work since several years with Berlin Symphony Orchestra. This combination leads to full artistic and instrumental realization of the most exigent and popular works in music history. Members of world-leading orchestras such as the Berliner and the Wiener Philharmoniker or the Deutsche Symphonie Orchester Berlin are often invited to play with Berlin Symphony Orchestra. All these artists are indeed incredible soloists, with some of them possessing a solid education in conducting. 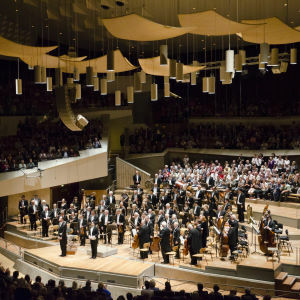 They love working with our orchestra often and enthusiastically, because here they have the possibility to reach as conductors their own artistic milestone, while at the same time presenting to a joyful, also enthusiastic public the most famous masterpieces in music, in the incomparable atmosphere of Berlin’s philharmonic music halls. 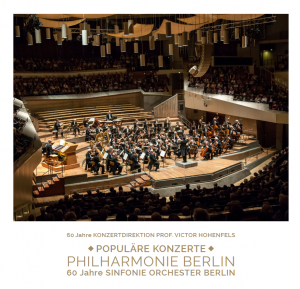 The cooperation with Principal Conductor Stanley Dodds and all other guest conductors and soloists enables Berlin Symphony Orchestra to achieve artistic standards while not losing its creative evolution and openness to new inspiration. The orchestra remains true to itself: according to Eva-Maria’s motto, through joy and passion we aim to effer an emotional experience to the public and several hours of relaxation and inner harmony. Stanley Chia-Ming Dodds was born in Canada, grew up in Australia and as a dual German-Australian citizen is now based in Berlin. He began playing violin and piano in Adelaide at age four, attended the Bruckner Conservatorium and Musik High School in Linz before studying violin and conducting at Lucerne Conservatorium. He continued violin studies at the Karajan Academy of the Berlin Philharmonic before receiving tenure as a violinist in the orchestra in 1994. Past guest conductor appearances include the Orchestre Philharmonique Luxembourg, Melbourne Symphony Orchestra, Tasmanian Symphony Orchestra, Orchestra I Pomeriggi Musicale Milano, Orchestra Academy Scholars of the Berlin Philharmonic and the Scharoun Ensemble Berlin. 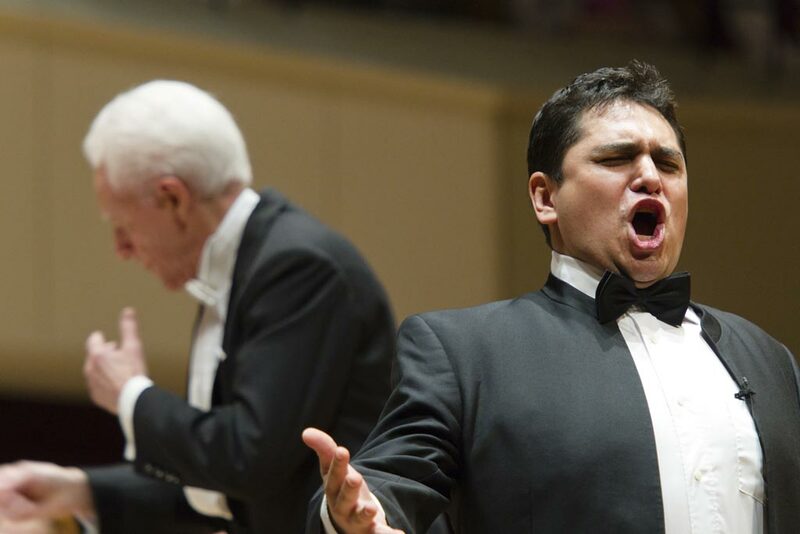 He appears at major Festivals in Salzburg and Baden-Baden, at the MaerzMusik in Berlin and the Summer Festival in Mecklenburg Western Pomerania.